teachers see all the results. 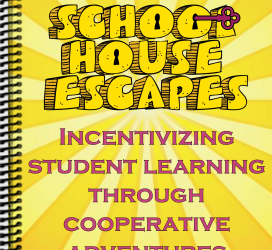 Schoolhouse Escapes is an education-based company that provides opportunities for teachers to observe their students engaged in problem-solving & collaborative activities based on standards appropriate for their grade. Our schoolwide games are designed to supplement your entire educational program to improve achievement for all students, particularly the lowest-achieving students (we have super fun methods we do this!). 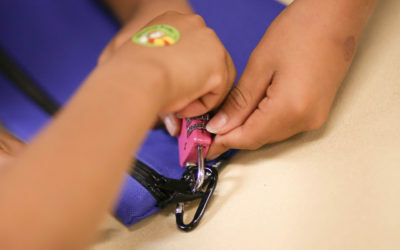 We use the escape game concept morphed into unique educational games that will challenge students to recall strategies they have learned throughout the year in order to complete the puzzles and “win” the games. All the Fun of a Field Trip Without Packing a Lunch! If you are interested in hosting an on-campus escape adventure, we are happy to accommodate as many students as are in your grade level. Each game lasts approximately 60 minutes, with a 15 min. required reset. Decide if you want us to entertain one class, one grade level, or your entire school. 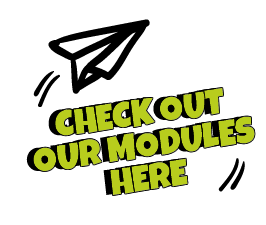 Give us a ring-a-ding or send a note on a pigeon, and we will take your reservation and get you all the informational materials you need to ensure you and your students know what to expect. Be sure to read our FAQ page to answer any of your burning questions. 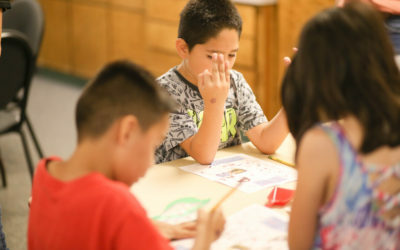 Each game we develop is Common Core standards-based (we show you the standards covered) and will require students to work in collaborative groups, with rewards for kindness and patience, and will emphasize each student’s unique strengths, while they solve the problems by applying knowledge they have already. You place your students into groups, we read them an immersive story, and then they are off to the proverbial races! Don’t worry if your class gets excited and loud–we actually LOVE that! At the end, we will take class photos with “out signs” (the signs people hold at the end of typical escape games), and each child will leave with a small trinket once they solve the mystery or puzzles or clues, or build the required element to finish the game. And, unlike the traditional escape rooms, we have a 100% success rate! At Schoolhouse Escapes, we take special care to ensure that EACH student, regardless of skill level, has a fun and rewarding experience and will feel AS IF they contributed equally to the success of the game. It’s sort of our thing. Amy Crossley, San Lauren Elementary, Bakersfield, Calif.